Art of Global Shipping600 ships. 2,550,000 containers. 125 countries. 325 offices. 25,000 employees. The Maersk Line fleet comprises more than 600 vessels and more than 2,550,000 twenty foot equivalent shipping containers. 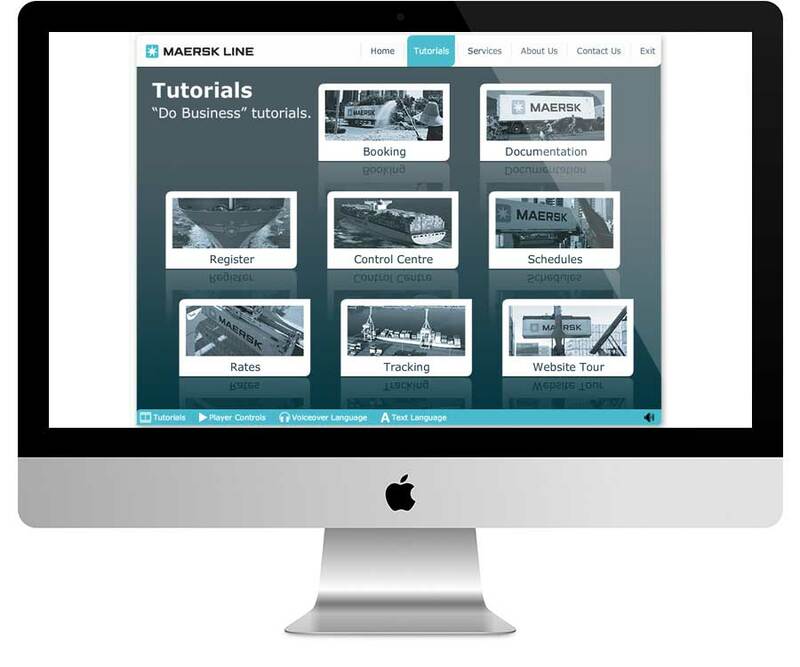 When Maersk asked Demonz to create a multilingual online tutorial for electronic bookings, we were up to the challenge. 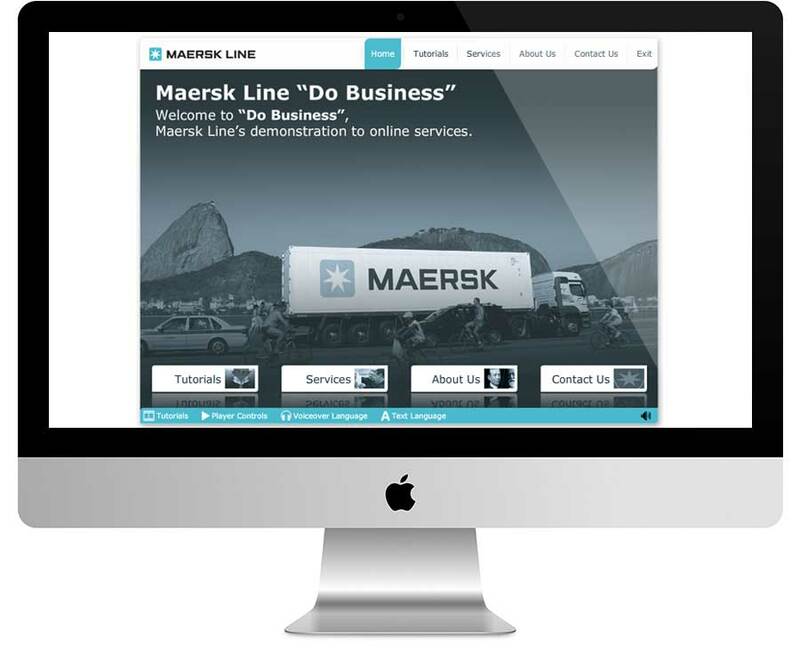 Maersk Line’s online ebusiness services, known as “Do Business”, provides a seamless workflow for customers to securely reuse, search, save & overview shipping information. 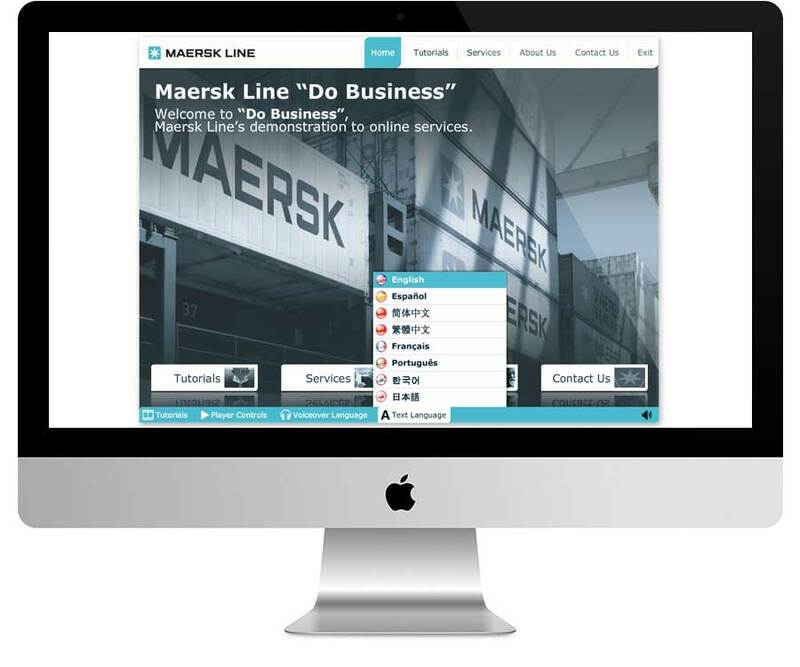 The primary aim was to create elearning tutorials for the main areas of the “Do Business” services and to create an introductory tutorial for the Maersk Line website. These tutorials were to be accessile in multiple languages with the ability to switch between text and voiceover languages independently (e.g. Cantonese with simplified Chinese text). Although Maersk Line had very strict branding guidelines including the very strict use of a set number of colours and fonts, Demonz was able to create a very strong, modern and aesthetic user interface by utilising gradients, soft shadows, floor reflections and simple highlights. Interactivity and continuity was added via colour changes, simple fades, blends and blurs to give a very professional finishing touch. The dynamic nature of the system allows it to be deployed in multiple platforms and formats (Web/CD/DVD on Windows/Mac).